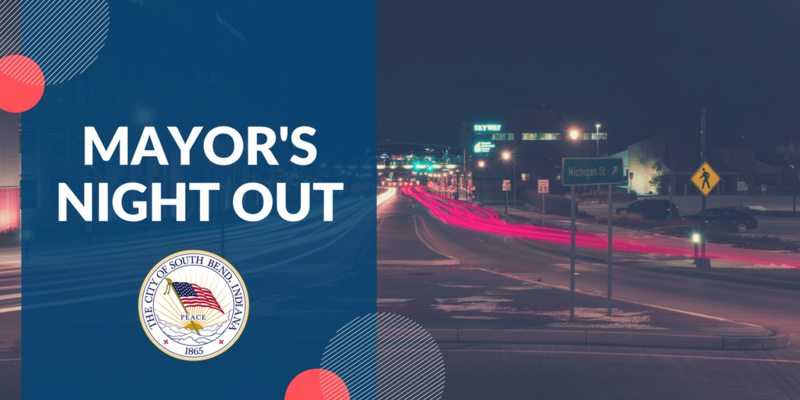 The City of South Bend is announcing that the next Mayor’s Night Out, featuring Mayor Pete Buttigieg and other city officials, will be held on Thursday, November 8, 2018 at 5:30 p.m. at the Jackson Intermediate Center. Residents are invited to come have a five-minute one-on-one conversation with the Mayor as well as City department heads and staff. Please call 311 for more information. When: Thursday, November 8, 2018 from 5:30 – 7:00 p.m.
Where: Jackson Intermediate Center – 5001 Miami Rd.